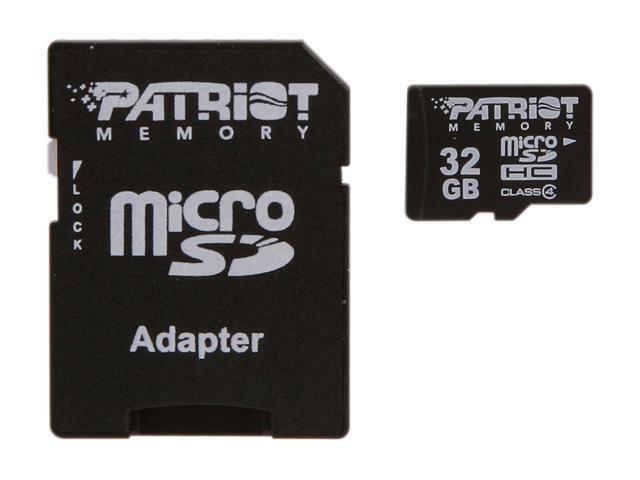 The Patriot Signature Series Class 4 MicroSDHC flash memory cards offer improved performance and larger storage capacity than earlier MicroSD cards. Additionally, these cards meet the latest SD Association specifications providing best in class compatibility with a wide variety of host devices. With the included MicroSDHC to full-size SD adapter, the Patriot Signature Series Class 4 MicroSDHC card is flexible and versatile for use across multiple devices. Available in 4GB, 8GB, 16GB and 32GB capacities, these cards offer a 5 year warranty. Pros: None. Should of listened to the reviews. Cons: I used this card for my cell phone, and lost a ton of pictures and video. I tried 3 computers and two cell phones. The card is dead well before a year. Patriot just makes junk. Other Thoughts: I will NEVER buy anything patriot again. I have never had a Samsung or Sandisk fail like this. Pros: Was ok while it worked. A little slow maybe. Cons: Failed after a little more than a year. Just stopped working - had tones of videos and files on it. Is being recognized but wants to be formatted. When I try to it just says no device available. Tried in 3 different computers and 2 mobile devices (Smartphones). Now everything is gone. Thank you! Other Thoughts: Won´t buy from Patriot anymore. I feel sorry for the people who had really important stuff on their cards. Wonder how much they lost financially and why they just accept that? Now I have a 5 year old SanDisk 4GB card in my phone and it works perfect. Cons: I ordered 2 of these, they both became corrupted after about a year of use. No water damage, no damage of any kind except normal use. My wife's had pictures and video of our son's first 6 months, and we're sending hers to a professional to attempt recovery. Once that happened, I backed mine up, and thank goodness because it didn't take long before mine stopped working too. I can't format mine, it comes up with an error "error in ioctl call" and I've had no luck w/ recovery software. They are both un-usable at this point. Sorry to hear that you had some issues with the memory. Please don't hesitate to send me an e-mail and I'll be glad to assist you in matter. Cons: Transfer rate a little slow but will get there. Worth it in the long run.